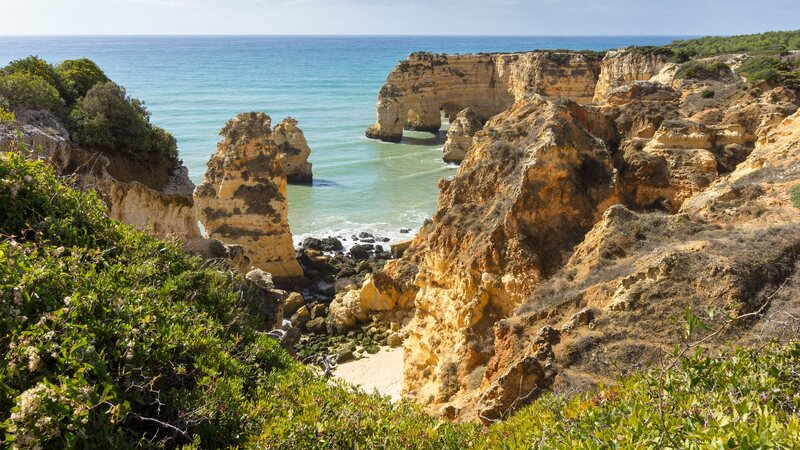 Benagil is a small Portuguese village on the Atlantic Ocean in Lagoa Municipality and the Freguesia of Carvoeiro (Lagoa). Lagoa do Fogo (Lake/Lagoon of Fire) is a crater lake within the Água de Pau Massif stratovolcano in the center of the island of São Miguel in the Portuguese archipelago of the Azores. The highest lake located on the island of São Miguel, the region is protected by governmental regulation that does not permit the construction around the lake. 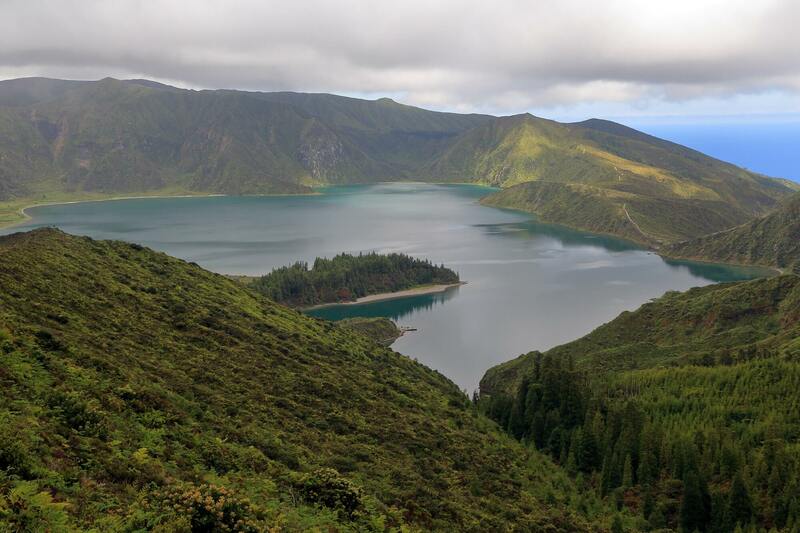 Since 1974, the Lagoa do Fogo had been under the administration of national legislation as a protected area, forming the Reserva da Lagoa do Fogo (Natural Reserve of Lagoa do Fogo) an area that includes approximately 2,182 hectares (21,820,000 m2), founded by Decree-law 152/74 (15 April 1974). It was also covered under a supplementary Decree-Law 9/79. The Reserva Natural da Lagoa do Fogo was created in 1982, under terms of Regional Decree 10/82/A on 18 June 1982. Part of the area was included in the Natura 2000 network, and classified as the Site of Communitarian Importance of Lagoa do Fogo. Pico do Arieiro, at 1,818 m high (5965 feet), is Madeira island's third highest peak. Most days, visitors can stand and look down on the clouds. The air is fresh and clear and the sun is very bright. On a clear day it is possible to see the neighbouring island of Porto Santo, 30 miles to the north. São Jorge (Portuguese pronunciation: [sɐ̃w ˈʒɔɾʒ(ɨ)]) is a Portuguese island in the central Azorean archipelago of Portugal. It is separated from its nearest neighbors (Pico and Faial islands) by a 15 km strait (consequently, the three islands are sometimes referred to colloquially as the "Triangulo" (Triangle) group or just "The Triangle"). 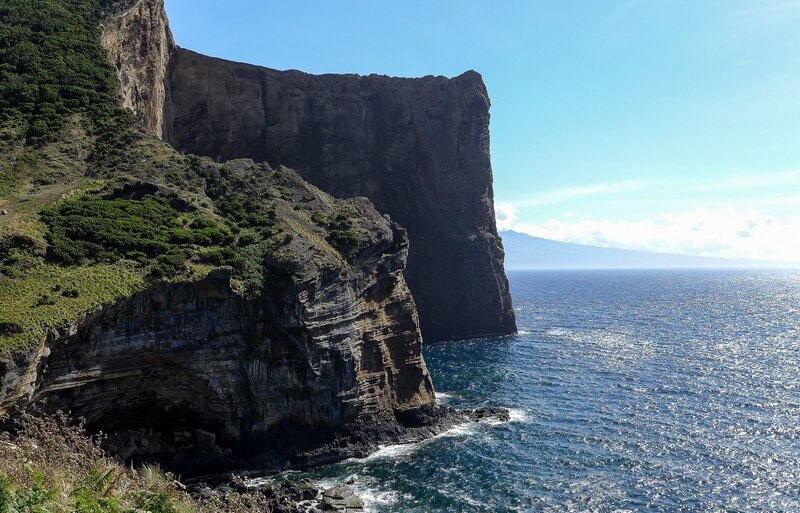 São Jorge is a relatively long thin island with tall cliffs, and where the population (9500 inhabitants.) is concentrated on various deltas along the north and south coasts (its east to west length is 53 km and its north to south width is 8 km and its area is 237.59 km² 95 sq. miles).